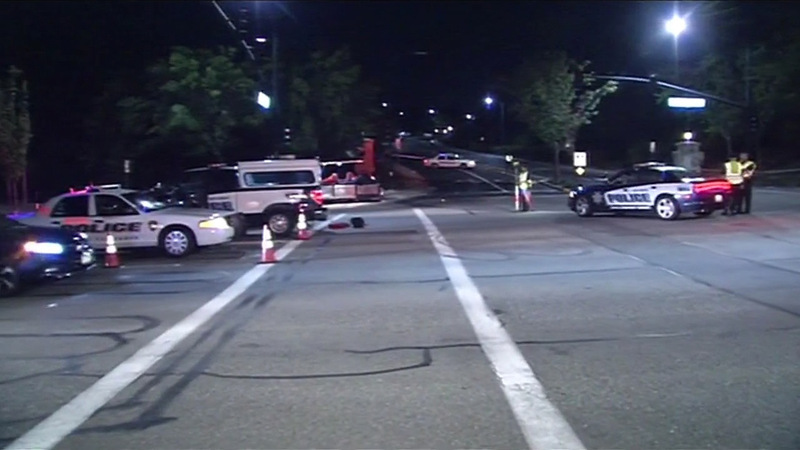 SAN RAMON, Calif. -- Police are investigating the circumstances that led to a pedestrian being struck and killed Wednesday night in San Ramon. Officers and emergency crews responded at 8:53 p.m. to the area of Dougherty and Red Willow roads in reference to a woman being struck by a vehicle. The circumstances surrounding the collision are still being investigated. Police said the initial investigation indicated the woman was crossing the street against a red light.